Don’t live paycheck to paycheck! Work To Invest is about having a backup plan for your income, to develop multiple streams of income. To learn how to create wealth, financial freedom, and pipelines of income. To change your way of thinking of money and become financially free. Learn about Dividend Stocks, Real Estate, and other Streams of Income. Click here to find on Amazon: https://amzn.to/2P7yMFK. Are you drowning in credit card debt? Are you in debt and can’t find the way to get out? 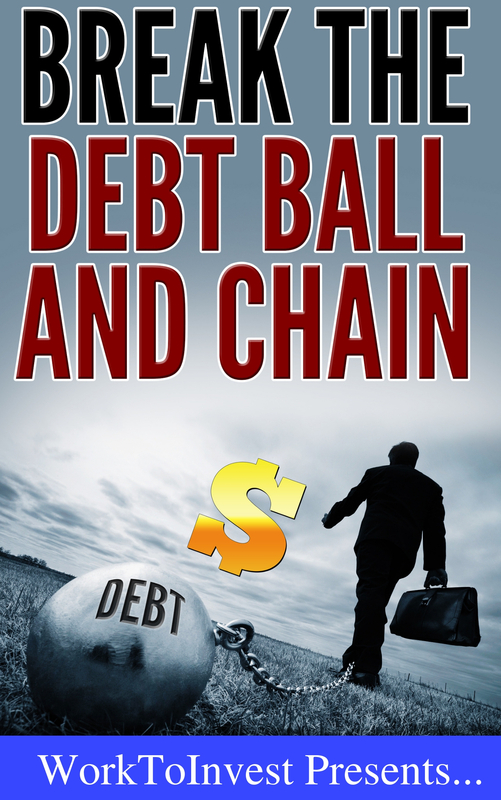 Do you feel like the Debt Ball and Chain can’t be broken, and you can’t get free? Check out our interior list of Work To Invest Books available on Amazon Click here for more.